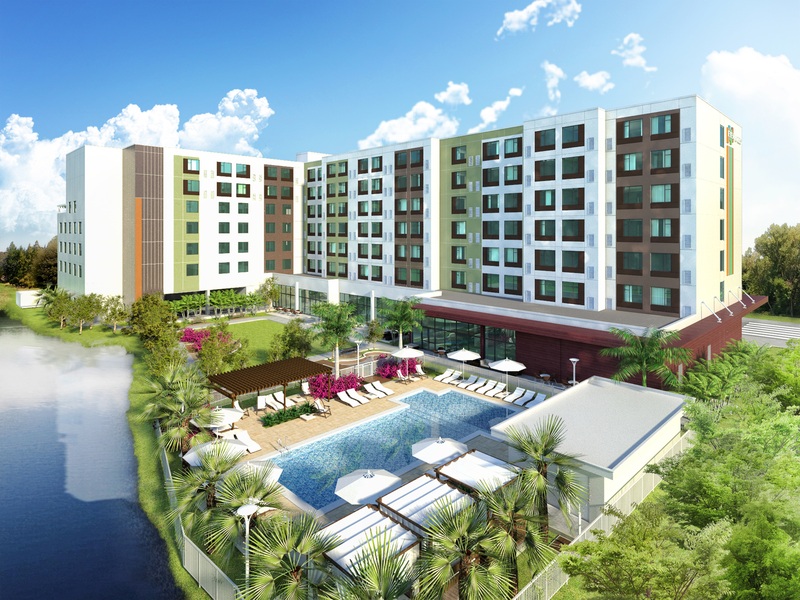 Denham, United Kingdom, 2019-Jan-29 — /Travel PR News/ — InterContinental Hotels Group (IHG®), one of the world’s leading hotel companies, today (25 JANUARY 2019) announces the opening of EVEN® Hotel Miami Airport, an innovative hotel created with wellness at its core. Now open in the heart of Miami, EVEN Hotel Miami Airport will also be the first new property to open near the recently-approved 73-acre Miami Freedom Park, which will house a proposed new soccer stadium for David Beckham’s Inter Miami, Miami’s soon-to-be-formed Major League Soccer expansion team. Developed by Epelboim Development Group and managed by Trust Hospitality, EVEN Hotel Miami Airport consists of 190 guest rooms, each with an in-room fitness trainer, ergonomic work station, signature sleep experience and complimentary Wi-Fi. The property also boasts 4,200 square feet of meeting space, signature Cork & Kale restaurant, and 24-hour state-of-the-art fitness studio that is three times the size of a standard hotel gym. This entry was posted in Airports, Business, Hotels, Luxury, Resorts, Travel, Travel Management, Travel Services, Travelers and tagged Armando Hernandez, EVEN® Hotel, IHG, Jason Moskal, Miami Airport. Bookmark the permalink.